Why were common stones traded? Common stones, such as the ones discussed below, were originally traded for practical, utilitarian reasons. Stones such as obsidian and diorite were imported to Mesopotamia to fill gaps in the material record, and indigenous calcite stones, such as alabaster, were exported to markets farther abroad in exchange for other materials. When metal and ceramics began to replace many of the utilitarian functions of these common stones during the Bronze Age, the emphasis began to shift to the ideological function of the material, rather than practical considerations. Some stones, like diorite, were particularly prized for their dark color and distinctly reserved for royal portraiture. Obsidian was valued for its surface luster and transparency, which had favorable connotations in Mesopotamian religion. [Hi Austen! I transfered these quotes over from the OB Mechanics Page. They are from the Akkadian period written on steatite bowls, if you want to use them in this page! 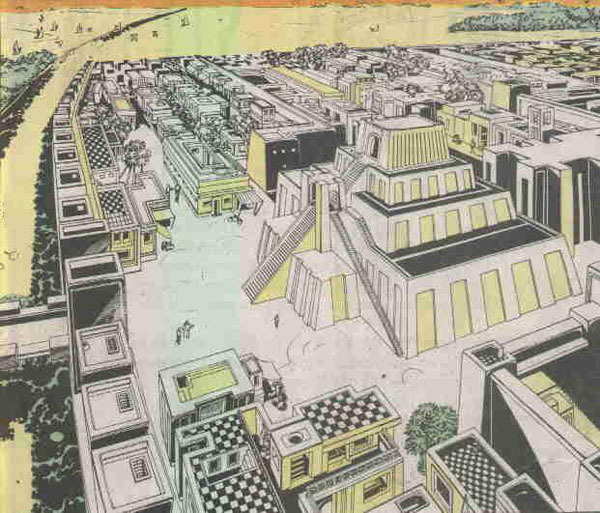 -Petra] With an increased emphasis on conquering and invading neighboring regions, the Akkad Dynasty brought back increasing amounts of valuable goods in the form of "booty" from successful campaigns. Akkadian campaigns reached various surrounding regions of Mesopotamia, but most relevant to us are their incursions into Iran and the Gulf area. Stone vessels were among this booty, and were inscribed by the victorious Akkadian king before they were dedicated in temples back in Mesopotamia. To Enlil/Sin, Rimush, King of Kish, when he had conquered Elam and Parahshum, from the booty of Elam, dedicated (this). Naram-Sin, king of the four quarters, bowl (from) the booty of Magan. Obsidian appears in the material record of the Middle East as early as the Neolithic period. Prehistoric uses of obsidian were mainly practical, the material is well-suited to making utilitarian tools and its fracture patterns are conducive to crafting sharp blades. In this way, obsidian is very similar to flint; in fact, few obsidian tools are found in regions where flint was readily available. This evidence suggests that the initial motivators for the trade of obsidian in the Middle East were utilitarian. Though obsidian was initially imported for practical purposes, the rise of metallurgy in the 4th millenium BCE began to render obsidian blades obsolete. During the Late Chalcolithic and Bronze Age the primary associations of obsidian shift from practicality to luxury - (though it is likely obsidian tools were still used for ritual purposes, such as sacrifices and medical procedures). The shift in the ideological associations of obsidian was likely due to the visual properties of the material; there were strong connotations of luxury associated with dark, luminous stones in Mesopotamian visual ideology, as is seen in the later statues of Gudea crafted from diorite. Though the presence of obsidian in the material record of Mesopotamia from the 4th-1st millennia is somewhat irregular and unpredictable, when objects of this fabric are uncovered it is often in highly elevated cultural contexts. Objects such as obsidian vessels, mirrors, beads, and amulets were associated with status and luxury - such as in the Tomb of Queen Puabi. Textual evidence mentions the presence of obsidian beads and amulets in Mesopotamia as late as the 1st millennium BCE. However, it is difficult to discern whether these objects were fashioned from recently traded obsidian, or recycled cores and objects. Obsidian beads were of relatively equal luxury status with lapis lazuli beads at this time, and both were intentionally imitated in faience. It is common to find obsidian beads paired with gold in items of personal adornment. The presence of recycling and imitation in this later period makes it difficult to identify when the trade in raw obsidian ceased. In any event, obsidian offers us a first glimpse into materials traded primarily for their luxury status - a role which is filled in later periods by the precious stones and metals discussed in this exhibition. 35-10-287 Obsidian Bowl. Iraq, Gawra, Iraq. ca. 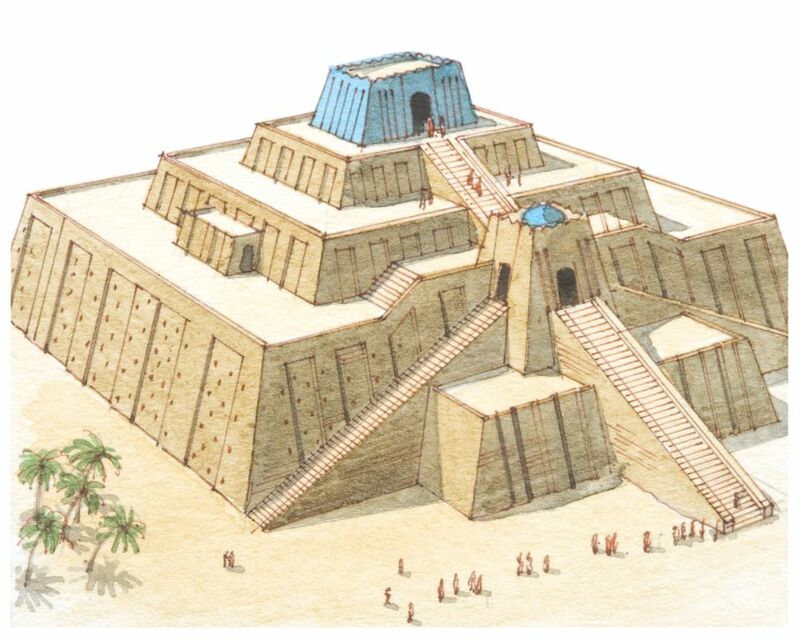 4000-3800 BCE. Steatite and chlorite today are not expensive or valuable stones. However, in the ancient Near East, steatite and chlorite were valued for their softness – because they were so soft (only 2 to 3 on the Moh's scale), they could be easily carved. Unlike harder stones, steatite and chlorite did not take much time or effort to turn into a vessel. Intricately decorated vessels were easy to make and, therefore, were probably fairly cheap to buy. Not only this, but it is very likely that steatite and chlorite vessels were used as containers for transporting other trade materials, such as foods, incense, or creams. 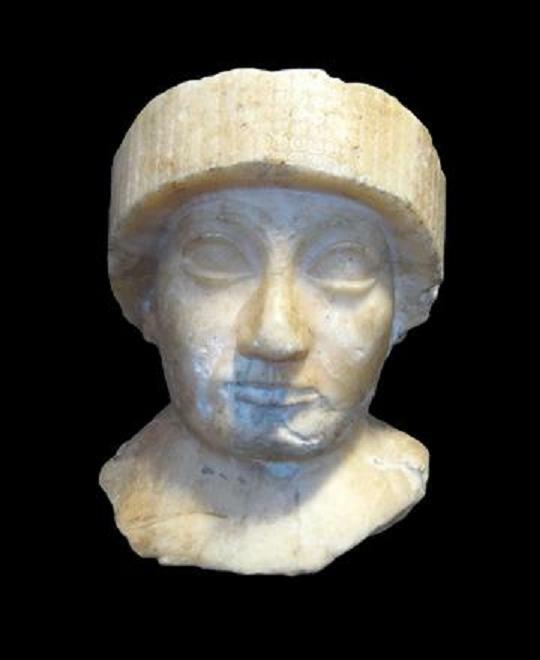 The beautiful and complicated decorations, the relatively low time and labor investment, and their use as containers for other goods all contributed to steatite's popularity throughout the ancient and Islamic Near East. Steatite vessels are found in a number of contexts spanning the entirety of Near Eastern history, up to the present. They serve as both utilitarian vessels (as containers or cooking ware), but could also be carved into beautiful pieces of art. In Islamic times, elaborately-carved steatite pieces were also utilized for holding burning incense, in addition to being used as vessels, beads, game pieces, and many other items. This steatite vessel is an example of the série ancienne style from Early Dynsatic Khafajeh, currently at the British Museum (Museum no. 128887). Categorizing the steatite vessels being traded is imperative to identifying varying patterns in trade and production. Third millennium steatite vessels in the Near East have been classified by P. Miroschedji under two categories: série ancienne (2600-2200 BC) and série récente (2200-2000 BC). Série ancienne, also termed “intercultural style” by P. Kohl, is characterized by intricate designs, often with geometric motifs and crosshatching incisions. A wide variety of animals are carved on série ancienne vessels with impressive detail. One of the most popular animal images is that of the “combatant snake” motif, seen on the vessel to the left. These vessels were also commonly inlaid with other colored stones and shells. Shapes of série ancienne vessels varied; forms include vessels with straight walls, vessels with walls which curve outwards before returning in, and vessels with bulging walls which flare out at the rim. Série ancienne vessels were primarily found in Early Dynastic graves of the Royal Cemetery at Ur. The first steatite vessel which appears at Ur comes from an Early Dynastic II grave and was classified as série ancienne. Diorite is a hard-igneous rock composed of plagioclase, feldspar, biotite, hornblende and pyroxene. There are many color variations associated with this stone, but the rarer dark colored stones preferred by kings and elites for statues, had to be imported from distant sources. 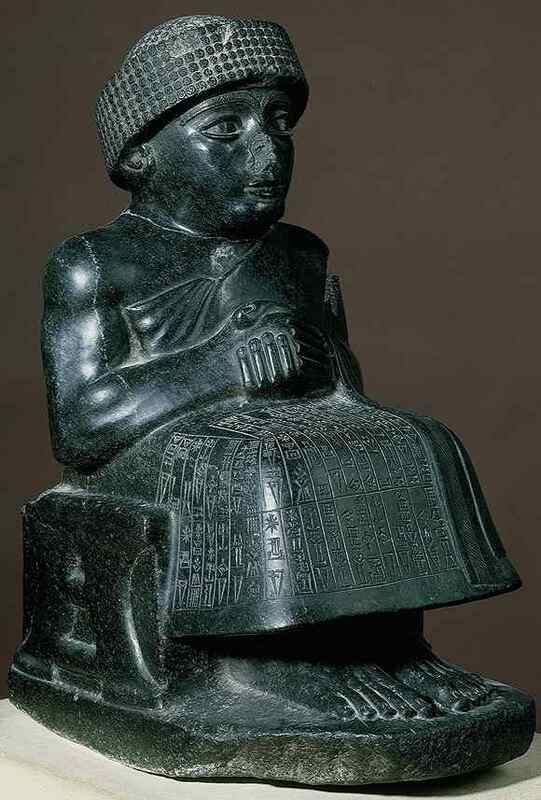 Early in Gudea’s reign, small stylized seated statues appear to have been modified by the sculptor to a 1:4 and 1:5 ratio scale to facilitate the use of a smaller block of diorite. In later periods when larger blocks were procured, life-sized more naturalized statues were sculpted using an artistic canon of 1:6 ratio. Larger, heavier blocks of diorite were difficult to transport and had to be shipped in by sea. Because of the difficulty in procuring diorite its use was limited to statuary and items for kings and high ranking officials, and was often dedicated as votives in temples. Kings and rulers preferred to use diorite because they thought it would last forever which would guarantee their immortality. ​Alabaster and gypsum were both used in the ancient and modern worlds to create a number of different objects, notably vessels and statues. The two types of stone are so similar as to be almost impossible to tell apart (much like steatite and chlorite). Both are available in the Near East, and both were utilized. Alabasters were highly-valued for their almost-transparent quality; the stone is able to diffuse light through itself, creating a soft, translucent effect. In the ancient world, Mesopotamians valued light and shining qualities. ​Physically, alabaster and gypsum are both very soft stones. This meant that they were easy to mine and carve. The low work involved in both obtaining and manufacturing alabaster and gypsum items means that the items themselves likely cost less. For this reason, alabaster and gypsum could have been used both for utilitarian purposes as well as decorative. Like steatite and chlorite, it is likely that these vessels were traded with food, creams, or incenses contained within them. British Museum Online Collections. 2016. "Collection Online". <http://www.britishmuseum.org/research/collection_online/> Accessed 12 Nov 2016.
de Miroschedji, P. 1973. “Vases et Objets en Steatite Susiens du Musee du Louvre.” Cahiers de la Délégation archéologique française en Iran. Vol. 3. Kohl, P. 1975. “Carved Chlorite Vessels: a Trade in Finished Commodities in the Mid-Third Millennium.” Expedition. Vol. 18. Moorey, P.R.S. 1999. Ancient Mesopotamian Materials and Industries. Eisenbrauns: Winona Lake, IN. Winter, I. J. 1994. “Radiance as an Aesthetic Value in the Art of Mesopotamia (with Some Indian Parallels).” In Art: The Integral Vision; A Volume of Essays in Felicitation of Kapila Vatsyayan. Saraswati, B.N. et al. New Delhi.